Any gardener knows the pain of dealing with invasive plants. These non-native species tend to spread fast and far, taking over your yard and eliminating the original plants that belong there. Luckily, the DIY experts of the Family Handyman Magazine have some bright ideas to keep invasive plants at bay. These tips and tricks will help anyone who struggles to strike a balance between native and invasive plants in their garden. While invasive plants were introduced by humans either purposely or by accident, they have transformed into serious environmental pests that can kill the plants that naturally grow in your garden and backyard. First things first: Many plants reproduce quickly by dropping seeds and by sending out roots that create new plants. A layer of mulch will stop the seeds from taking root, but you’ll need a solid barrier. You can accomplish this by replanting invasive species inside underground “corrals.” These plastic corrals, strategically placed at least 10 inches below ground, will prevent roots from sneaking under them. While this trick won’t solve issues with plants like strawberries or mint that spread above ground, it will work with a variety of other plants. There’s only three things you need to complete this project efficiently, with minimal frustration. Plastic pot, 10-in. deep min. This is a simple, straightforward process that will turn your out-of-control garden around in no time. 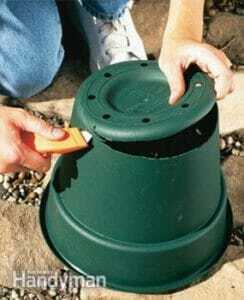 First, cut the bottom off of a plastic pot or pail. This will help you make that barrier you need. Next, you should set the container in the ground. Replant spreading plants inside it to contain the roots and keep them from spreading. 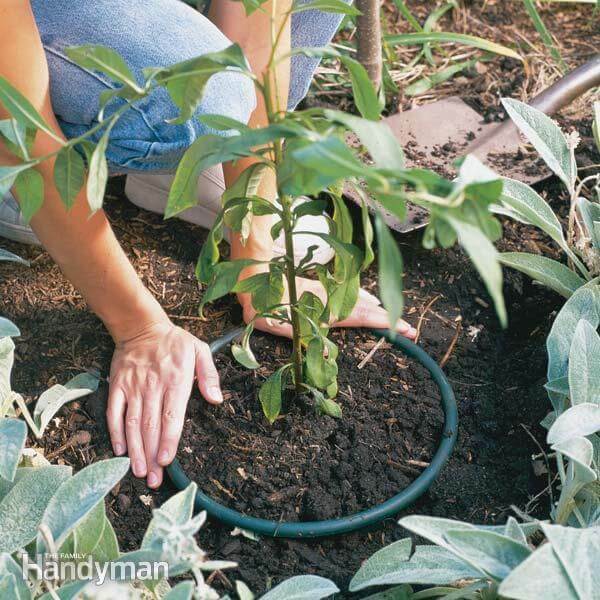 Repeat the process for however many plants as you need.